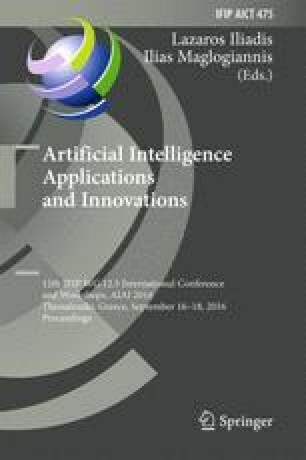 A novel Building Multi-occupancy Analysis & Visualization through Data Intensive Processing techniques is going to be presented in this paper. Building occupancy monitoring plays an important role in increasing energy efficiency and provides useful semantic information about the usage of different spaces and building performance generally. In this paper the occupancy extraction subsystem is constituted by a collection of depth image cameras and a multi-sensorial cloud (utilizing big data from various sensor types) in order to extract the occupancy per space. Furthermore, a number of novel visual analytics techniques allow the end-users to process big data in different temporal resolutions in a compact and comprehensive way taking into account properties of human cognition and perception, assisting them to detect patterns that may be difficult to be detected otherwise. The proposed building occupancy analysis system has been tested and applied to various spaces of CERTH premises with different characteristics in a real-life testbed environment. This work has been partially supported by the European Commission through the project HORIZON 2020-RESEARCH & INNOVATION ACTIONS (RIA)-696129-GREENSOUL.